Class Reunion Season is Here! 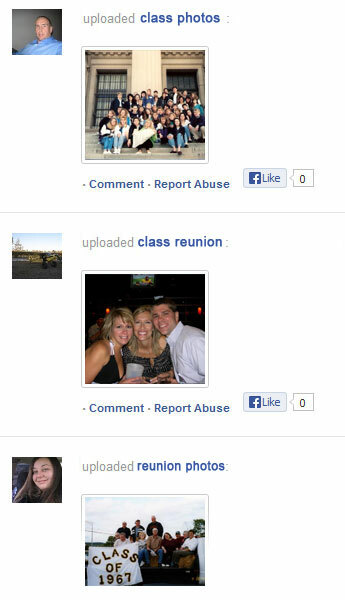 Set up a free and fully interactive reunion website for your next class reunion. 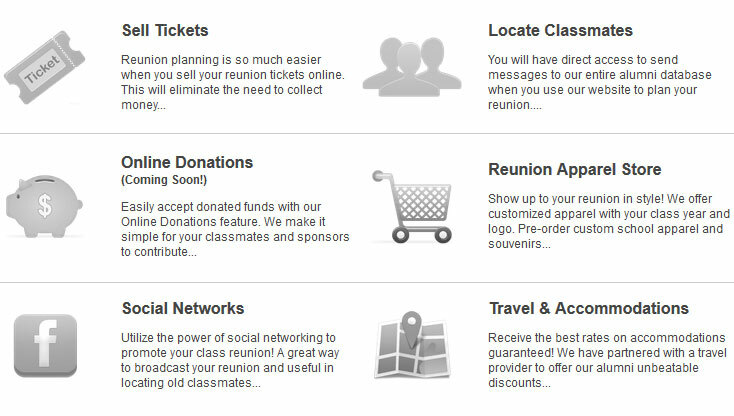 Sell your event tickets online, upload class reunion photos, send reunion announcements, reserve accommodations and plan all the details of your event. It's never to early to start planning and anybody can plan their reunion. If you are planning a reunion please post your information. New, Class Wall - It's Like Facebook! Visit our alumni site and check out our new class wall. It's a lot like Facebook but it's only for our alums! Are you looking for a great fundraiser for your club or group? Click this link to contact the group who we use and discover why they are so highly recommended! Do you remember these Screaming Eagles? AlumniClass.com 10019 E Knox Ave, Spokane Valley, WA. 99206 © 2005-2013 All Rights Reserved.